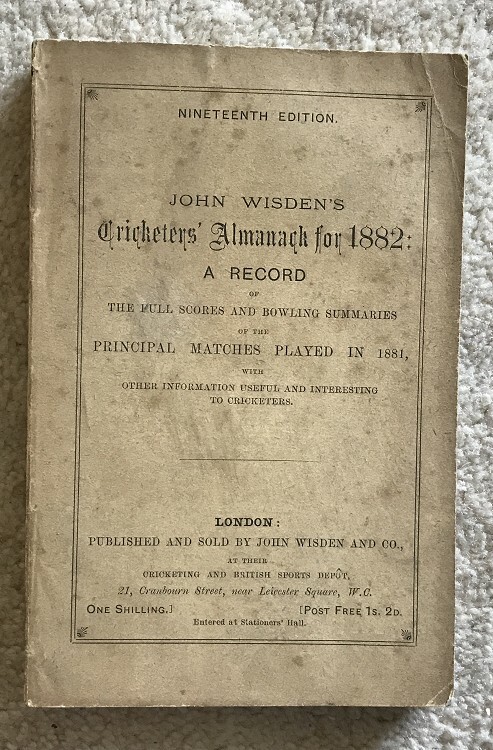 This lot is an 1882 Original Paperback Wisden. It is in Excellent Condition for the year and has not been restored in anyway. The covers are in great order for such an old book, a few light marks to the front and a small line to the top right , the rear cover is very nice. The spuine paper is exceptional with only a tiny wear. Tightly bound with nice pages inside, a couple of spots to the first couple of pages but otherwise nice and clean inside. No restoration and a great Wisden. Please see the large pictures & Video. More available on request.